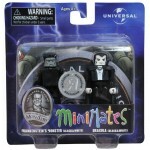 Art Asylum has posted photos and info for their upcoming Universal Monsters Minimates Series 2. 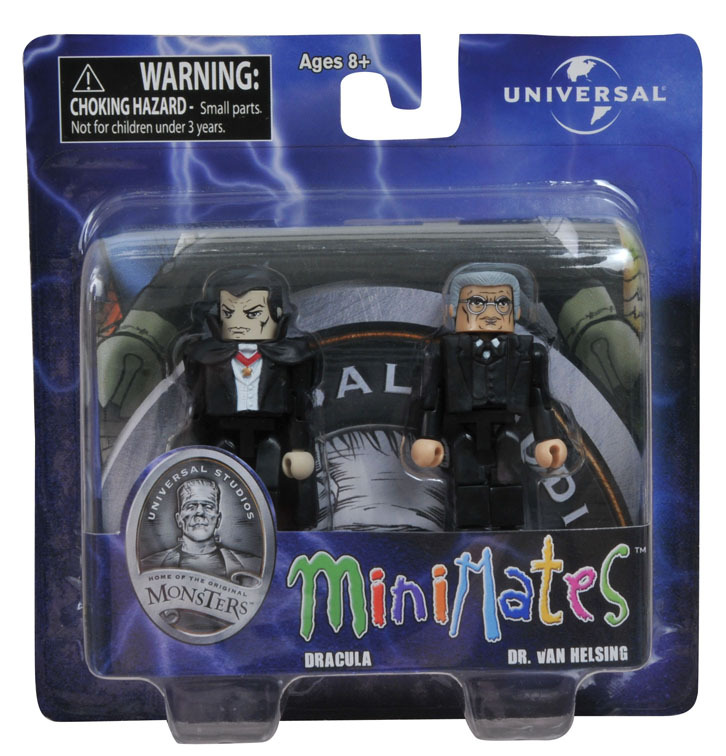 Just when you thought you were safe from fictional creatures from movies made long ago, Universal Monsters Minimates Series 2 is here to scare the bejeezeus out of you! 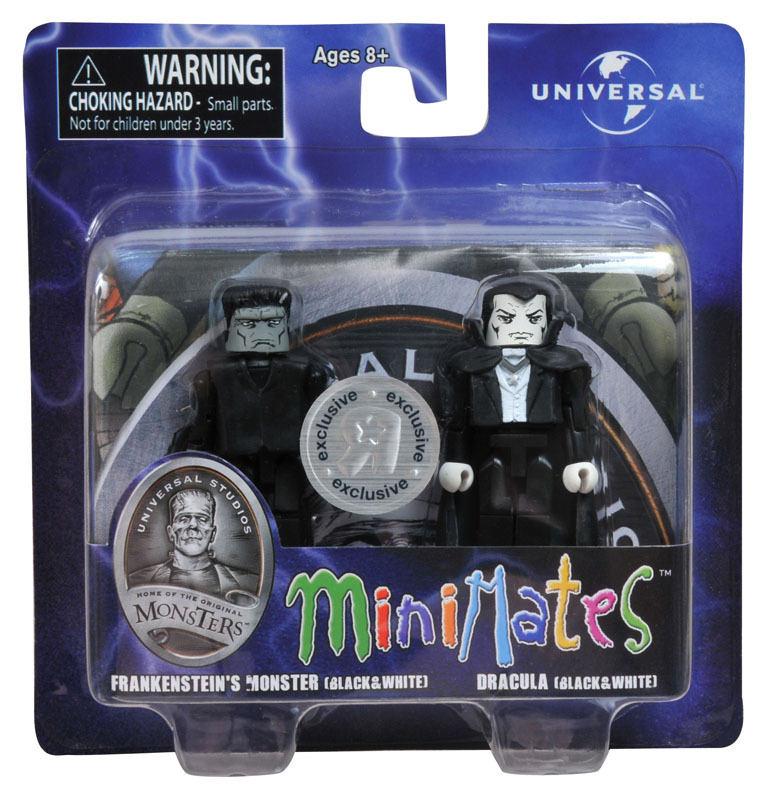 That’s right, the tiniest, most adorable monsters ever are back just in time for the spookiest time of the year! 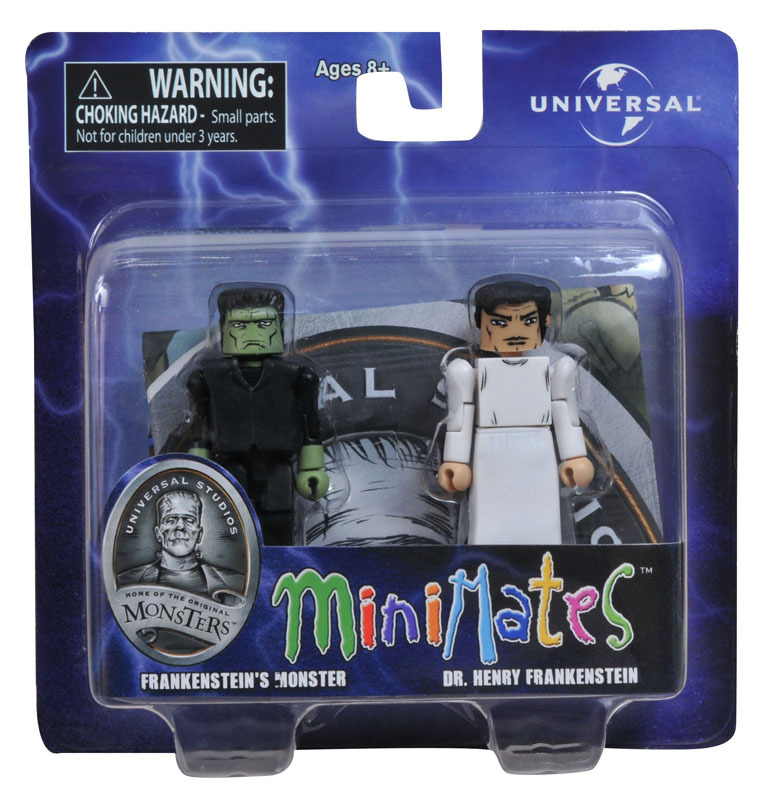 This time around, Frankenstein’s monster, Dr. Henry Frankenstein, Dracula, Van Helsing, the Bride of Frankenstein, a Villager, and Toys R Us-exclusive black-and-white versions of Dracula and Frankenstein’s Monster are here to scare and/or smile your face clear off! 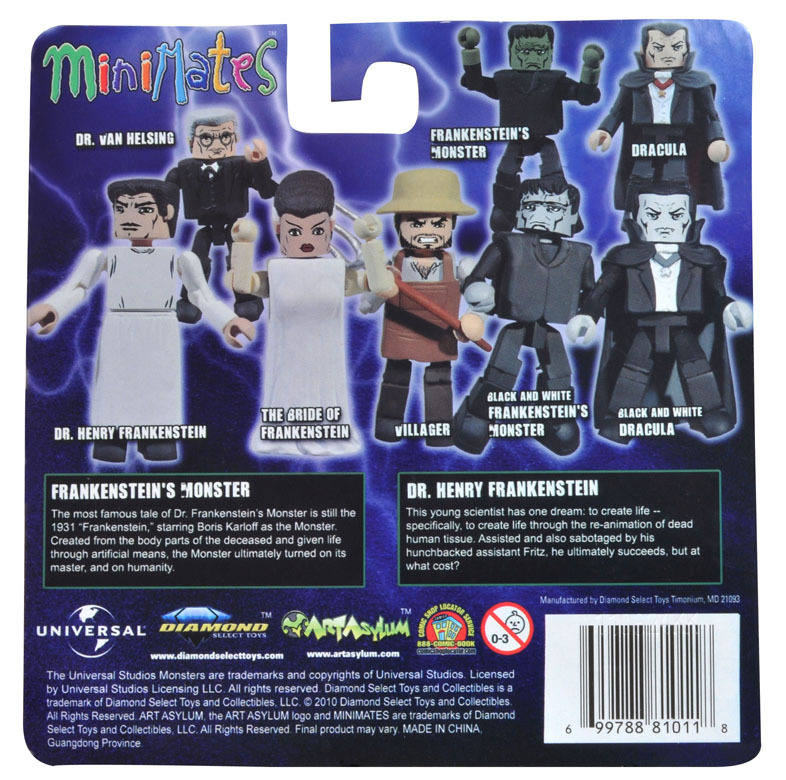 Check out pictures of the two-packs in packaging below, and look for them at a Toys R Us near you in October! Yeah! 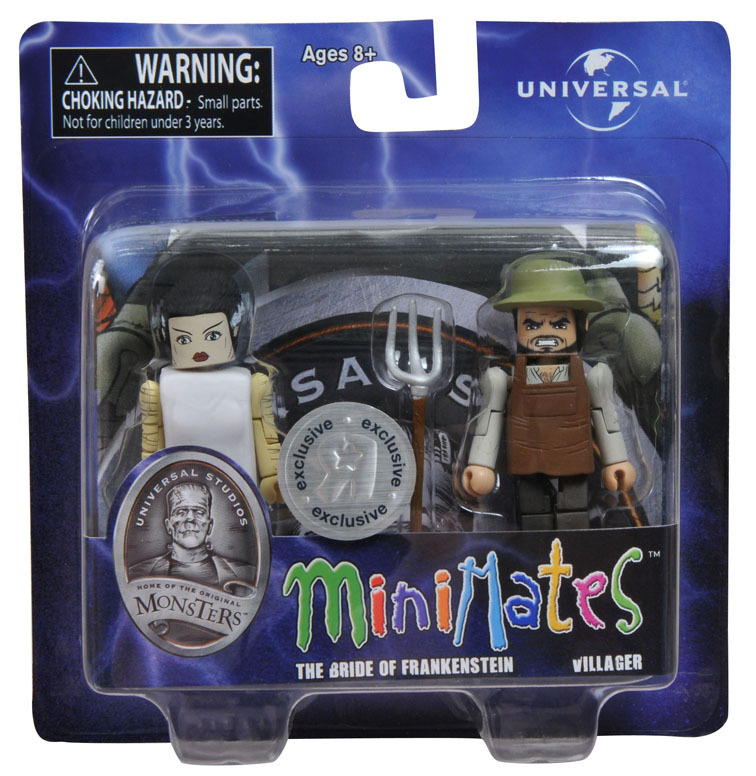 Can't wait to get these.